The document is incomplete but states that funds for the school are needed to keep benefiting boys and girls. 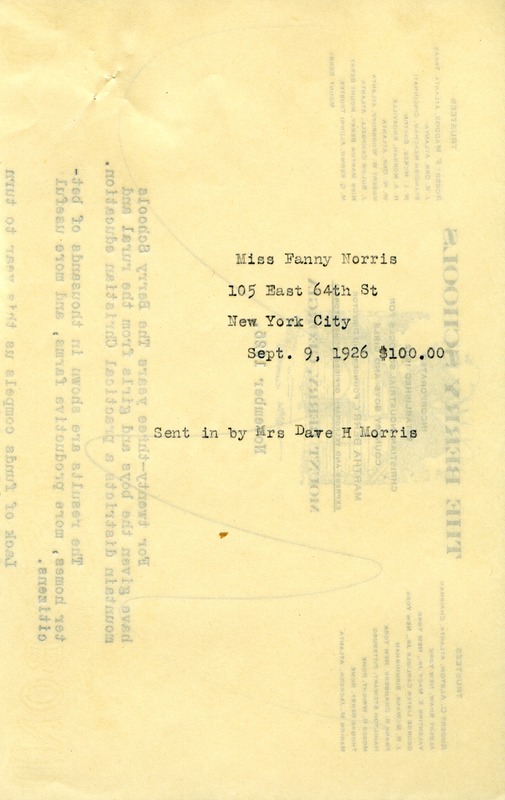 Mrs. Dave Morris, “Letter from Dave Morris to unkown.” Martha Berry Digital Archive. Eds. Schlitz, Stephanie A., Aaron Nicholson, et al. 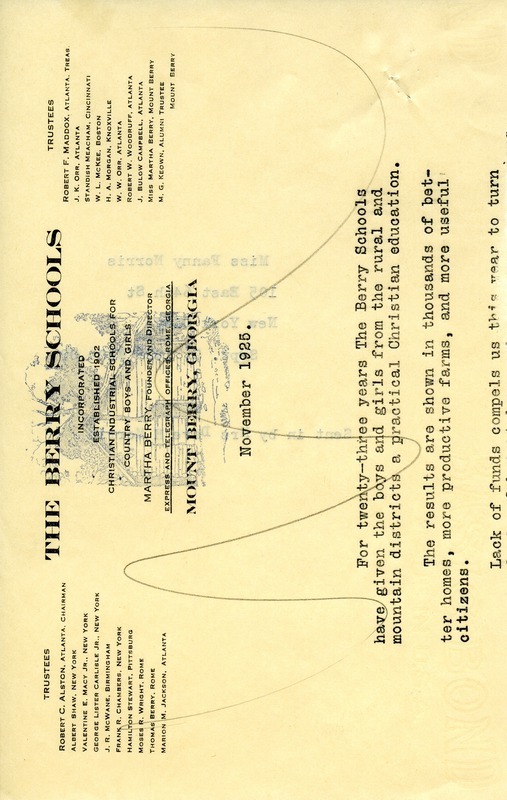 Mount Berry: Berry College, 2012. accessed April 23, 2019, https://mbda.berry.edu/items/show/2568.